At first glance, you may have trouble seeing what is wrong. You might think that it is a little on the ‘fat’ side and you would be right. Do you see the two horizontal cracks? There is one toward the top and one near the bottom of the photo. These cracks are signs of an overwatered cactus. 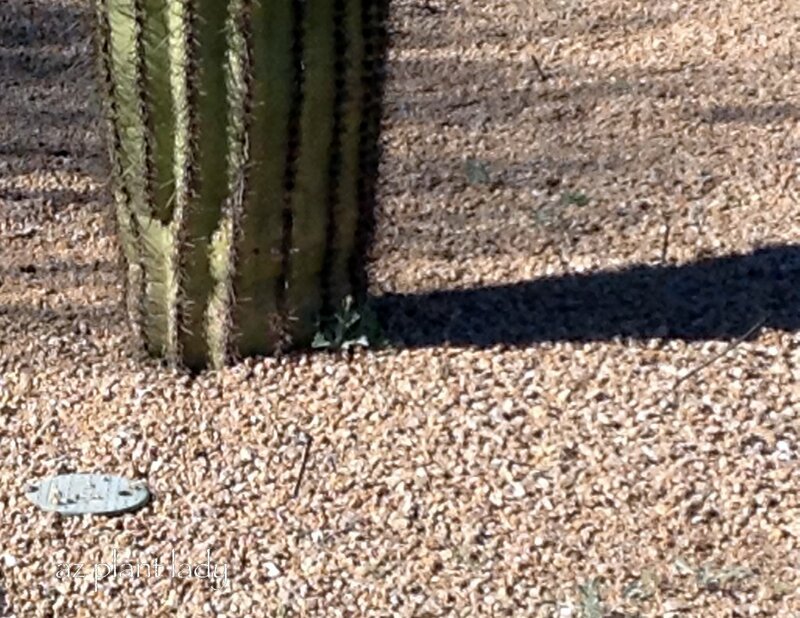 At the base of the saguaro are 4 drip emitters. 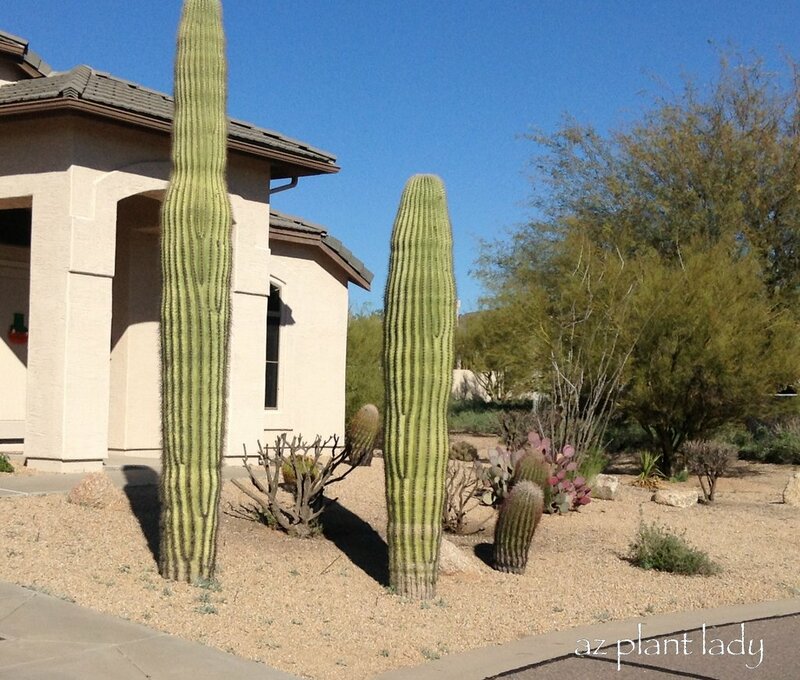 You may be surprised to find that drip emitters around a cactus isn’t necessarily a bad thing. But ONLY IF the irrigation line is used for cactus exclusively. Cactus do like a good drink of water once a month during dry, summer months and a dedicated drip-line can provide that. When the summer rains arrive, turn off off the water. 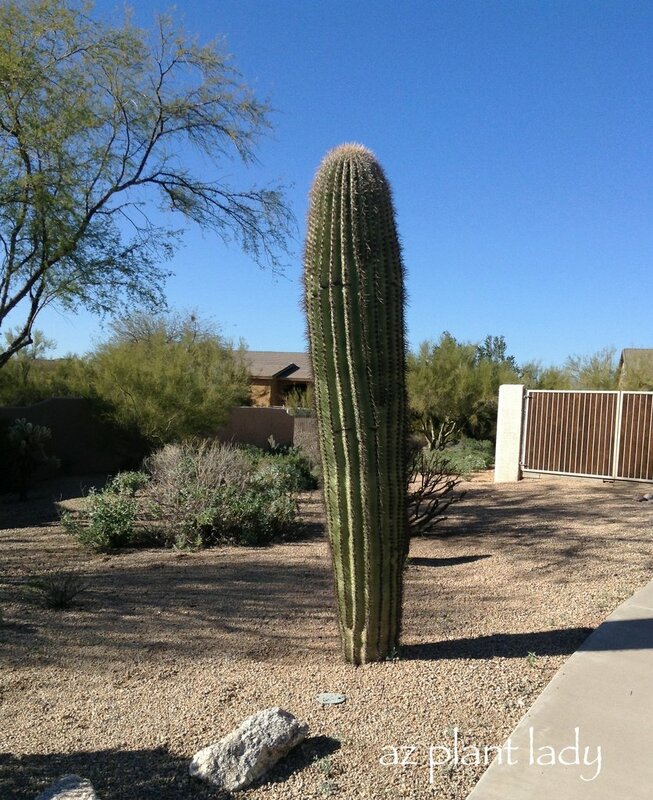 In fall, winter and spring, your saguaro does not need any supplemental water. *Keep in mind that they survive on natural rainfall out in the desert. For the saguaro above, it is obvious from the size of the saguaro and the cracks, that the drip irrigation is probably being turned on too often. The other 2 Saguaro cacti on the property also are being overwatered. They are too ‘fat’. The Desert Botanical Garden has an excellent article on how to grow Saguaro cacti, including how much, if any, water they need. 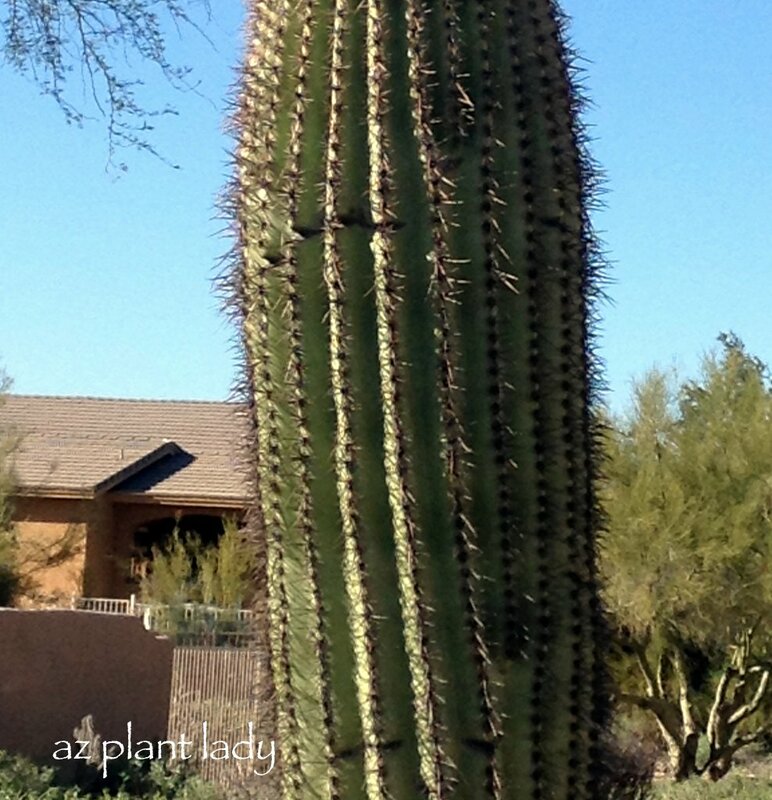 https://www.azplantlady.com/wp-content/uploads/2013/03/IMG_0788.jpg 640 522 arizonaplantlady@gmail.com http://www.azplantlady.com/wp-content/uploads/2018/10/favicon.png arizonaplantlady@gmail.com2013-03-19 12:30:002016-10-26 14:36:14What's Wrong With This Picture?